Insurgency is one of the many online tactical shooters out there but there are a number of features that make it stand out and that much more addictive. One of those particular features is its class system, having set classes that players must enlist to which all have their own weapons and qualities. This not only offers a range of play styles for players to adapt to, but it forces players to individually handle their own field of class, encouraging team play and not having a full team of assault gunners running around aimlessly to their next objective. Squad leaders: Your team will have two squad leaders. 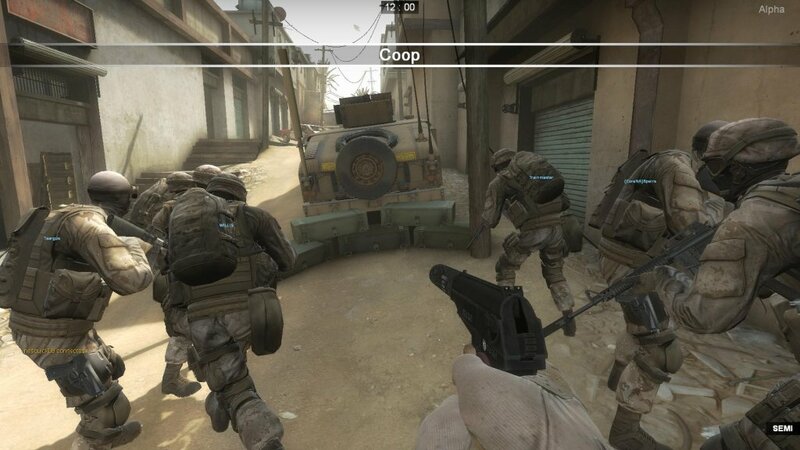 A squad leader is similar to the majority of classes, however they can mark objectives the team should focus on and place small markers to show where a smoke, frag, player, or C4 should be deployed (by holding c and using the radial menu). Those assigned to a squad leader role should try to take full advantage of the command system in order to bring the unit together and work as a team. Riflemen: This is your go to standard assault class. If you’ve taken the role of a riflemen you are an infantry fighter, looking to stand alongside your squad leader and take offensive action towards targets and objectives. Demolitions: As you can imagine, the demolition class is for demolitions operations. The class’ primary weapons are limited to assault weapons however it does offer the ability to take C4 or deadly RPG related explosives into the field which are highly effective against a group of targets or when attacking a destructible objective. Designated Marksman: This is a sharpshooter class for those who prefer a blend of medium-long range combat. The marksmen tends to stick with the squad but occasionally takes advantage of the weaponry available by hanging back on the odd occasion and supporting the team’s sniper at alternative angles in order to cover team mates moving forward into a target zone. Support: Although each class is crucial to a successful outcome, many underestimate the advantages of this heavy dose of firepower. Support gunners are most effective when placed in the sidelines of a fire-fight as they rain down suppressive covering fire to deter enemy forces and provide opportunities for the team to push forward through any given area. Sniper: The sniper is a distanced recognisance class that uses their distance and view of the field to report beneficial intelligence to the squad. This is a long range class that requires communication skills (as do all the classes), diligence and patience. Snipers tend to hang back on over-watch but will need to keep up with the rest of the team when pushes forward, checking the rear as they proceed. Breacher: Opposing the sniper’s traditions, this is a close quarters combat class that requires a lot of nerve and willingness to take the lead in smaller environments. They are usually the first in the door due to their short-medium range weapon availability as well as the full variety of projectile grenades at their disposal. Engineer: Similar to the Breacher and Demolitions class, an Engineer also has the ability to carry a number of varied explosives however, as it shares the similar short-medium range weapons the Breacher, an engineer will usually play a close part alongside a Breacher when intruding an enemy building or objective. These are the eight weapon classes available to players when forming a squad and tackling Insurgency’s co-operative game modes. Hopefully these guides and specifications helped those of you searching for the right class for you. If your preferred class slot is already taken up, don’t worry, experiment and take time learning each individual class as the more familiar you are with them, the more you will adapt to the formations and varied options available when operating as part of a unit.